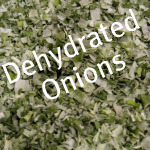 People have been dehydrating food for thousands of years as a way of preserving their harvest. With the modernization of ancient sun-drying techniques, preserving your fruit, vegetables, and meat is so easy. Once you learn the basics of dehydrating, you’ll get excited about all the food you can preserve. How do I reconstitute my dried food? 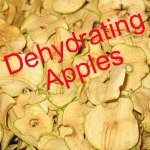 What are the advantages of dehydrating food? It’s the most nutritious way to preserve food – enzymes, vitamins, and minerals aren’t destroyed by high canning temperatures. Dehydrating food is a quick and easy way to preserve food. Dried food doesn’t take up much room and is very light weight. Glass, plastic, or metal air-tight food containers can be used to store your dehydrated fruit, vegetables, and meat. The storage container needs to be safe from moisture and insects but doesn’t need to be sealed. Dried food doesn’t need to be refrigerated. Swissmar Borner V-Slicer – I don’t have many kitchen gadgets, but this one I can’t live without. I’ve had mine for over fifteen years and the blade is still sharp. It’s the only thing that I can find that slices food into very thin slices. In just minutes, it uniformly slices enough food to fill the dehydrator. Cleanup is as easy as rinsing the V-Slicer and setting it out to dry. Love It! Electric Food Dehydrator – My favorite food dehydrator is the Excalibur. With nine trays you can quickly dehydrate a lot of food. The hanging Food Pantry has a screen to keep the insects off your drying food. It has several trays and can be hung outside or inside in a well ventilated area. Now of course you can dry your food out in the sun like they’ve been doing for thousands of years. You can also set your food on trays in a hot car with the windows rolled up. We love dehydrated fruit. You can reconstitute the fruit but you’ll find that dried fruit is delicious just the way it is. Boiling - To reconstitute vegetables, pour one cup of vegetables into 1 cup of boiling water, and let it soak for 5 – 20 minutes. To reconstitute fruit mix 1 cup of water with 1 cup of dried fruit in a pan and simmer until the fruit is tender. Steaming – Place your dehydrated food in the steamer. The dry food will absorb the moisture from the steam and plump right up. Be Creative Dehydrating Food and Have Fun!